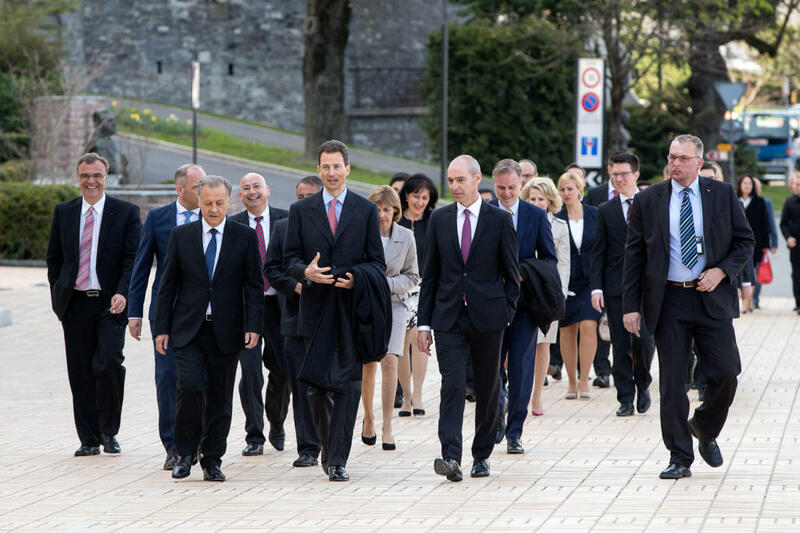 It was a busy day in Liechtenstein today as Hereditary Prince Alois opened the Principality's parliament, after walking there together with the lawmakers, and swore in the new Prime Minister. In his speech for the opening of parliament, the Principality's regent spoke of digitalisation, national finances, health insurances and compatibility of family and career as being the four major challenges facing the parliament as well as the whole country during the upcoming four years. "After years of reacting, this new legislative period offers the chance of a new phase of future-oriented creating", the Hereditary Prince said. The full speech is available on the website of the Fürstenhaus. Hereditary Prince Alois also saw the swearing in of all 25 elected members of Liechtenstein's Landtag as well as the speaker and deputy speaker of the house this morning. 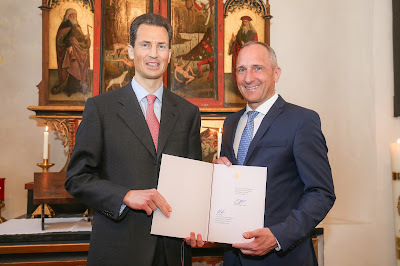 In the afternoon, the new and old Prime Minister, Adrian Hasler, paid a visit to Schloss Vaduz where in the chapel - yes, chapel - he took his oath to pledge "allegiance to the Fürst, obedience to the laws, and observance of the constitution - so help [him] God" in front of Hereditary Prince Alois. While the official workday was then over for the Hereditary Prince, Prime Minister Hasler swore in the four other members of his government afterwards. Pictures of the day at Vaterland, a video at 1 FL TV.